Every week as the sun sets on Friday evening the Jewish holiday of Shabbat begins. This day of rest lasts until Havdalah is said as the sun sets on Saturday and is dedicated to family, community and spiritual renewal. Traditionally Shabbat includes special blessings that are said over the children on Friday night. How these blessings are said varies from home to home. Customarily it is the father who blesses the children by laying his hands on their heads and reciting the blessings below. However, in modern times it is not unusual for mom to help dad bless the children. She can do this by laying her hands on the children’s heads at the same time and reciting the blessings with her husband. Or, if the children are younger, she could hold them on her lap or hug them while their father blesses them. In some homes, the mother says the blessings instead of the father. It all comes down to what the family is comfortable with and what works best for them. Taking time to bless the children on Shabbat is a great way to reinforce the fact that they are loved, accepted and supported by their families. In many homes, the blessings are followed by hugs and kisses or words of praise. Of course, there is no reason you can’t do all four of these things: blessing, hugs, kisses, and praise. One of the most beautiful aspects of Judaism is how it emphasized the importance of family and spending time together. The traditional blessing said for a son asks God to make him like Ephraim and Menashe, who were two of Joseph’s sons in the Bible. Ephraim and Menashe were the sons of Joseph. Just before Joseph's father, Jacob dies he calls his two grandsons to him and blesses them, expressing his hope that they become role models for the Jewish people in years to come. Many have wondered by Jacob chooses to bless his grandsons before blessing his 12 sons. Traditionally, the answer has been that Jacob chose to bless them because they are the first set of brothers who did not fight with each other. All the brothers who came before them in the Bible – Cain and Abel, Isaac and Ishmael, Jacob and Esau, Joseph and his brothers – deal with issues of sibling rivalry. By contrast, Ephraim and Menashe were friends known for their good deeds. And what parent wouldn’t wish for peace among their children? In the words of Psalms 133:1 "How good and pleasant is it for brothers to sit peacefully together." The blessing for daughters asks God to make them like Sarah, Rebecca, Rachel, and Leah. 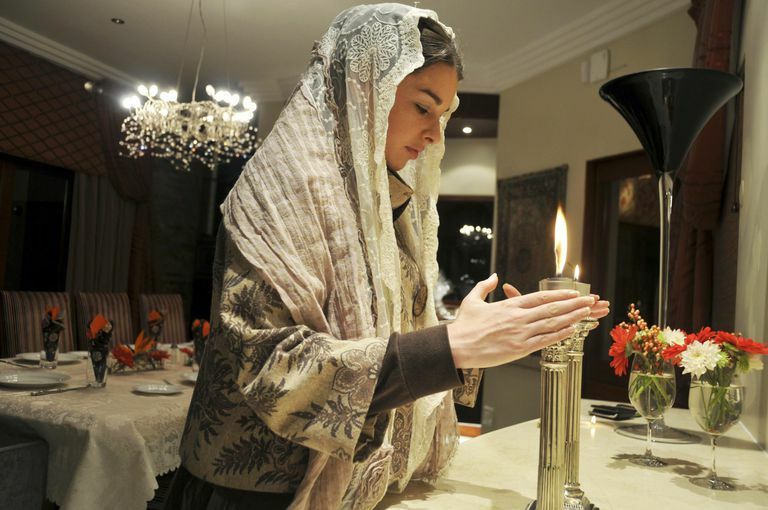 These four women are the matriarchs of the Jewish people. English: May God make you like Sarah, Rebecca, Rachel, and Leah. Transliteration: Ye'simech Elohim ke-Sarah, Rivka, Rachel ve-Leah. Why Sarah, Rebecca, Rachel, and Leah? As matriarchs of the Jewish people Sarah, Rebecca, Rachel, and Leah each possess qualities that make them worthy role models. According to Jewish tradition, they were strong women who kept faith with God during tough times. Between the lot of them, they endured martial troubles, infertility, abduction, envy from other women and the task of raising difficult children. But whatever hardships came their way these women put God and family first, eventually succeeding in building the Jewish people. After the above blessing are recited over sons and daughter, many families recite an additional blessing that is said over both boys and girls. Sometimes called the "Priestly Blessing," it is an ancient blessing that asks God to bless and protect the Jewish people. English: May God bless you and protect you. May God’s face shine toward you and show you favor. May God look favorably upon you and grant you peace. Transliteration: Ye'varech'echa Adonoy ve'yish'merecha. Ya'ir Adonoy panav eilecha viy-chuneka. Yisa Adonoy panav eilecha, ve'yasim lecha shalom. Who Were the Matriarchs of the Torah? What Does Jewish Law Say About Shoes? What Are "Tzitzit" in Judaism?